After Elon Musk stated 2 months ago that Bitcoin is “brilliant“, we now read that Musk is the new CEO of Dogecoin (a fork of Bitcoin). At least he was for one day. 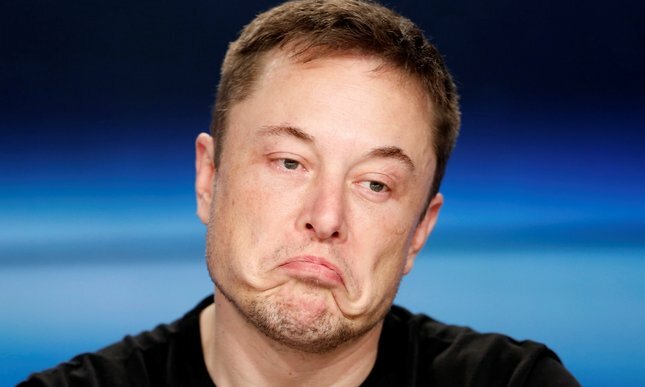 Many people hoped Elon would be the “poster boy” for cryptocurrency. The founder of Tesla, Solar City & SpaceX is well known for his entrepreneurship in cutting edge fields. Transitioning into blockchain wouldn’t be a misfit at all. On the contrary, the crypto community would welcome the visionary with open arms. 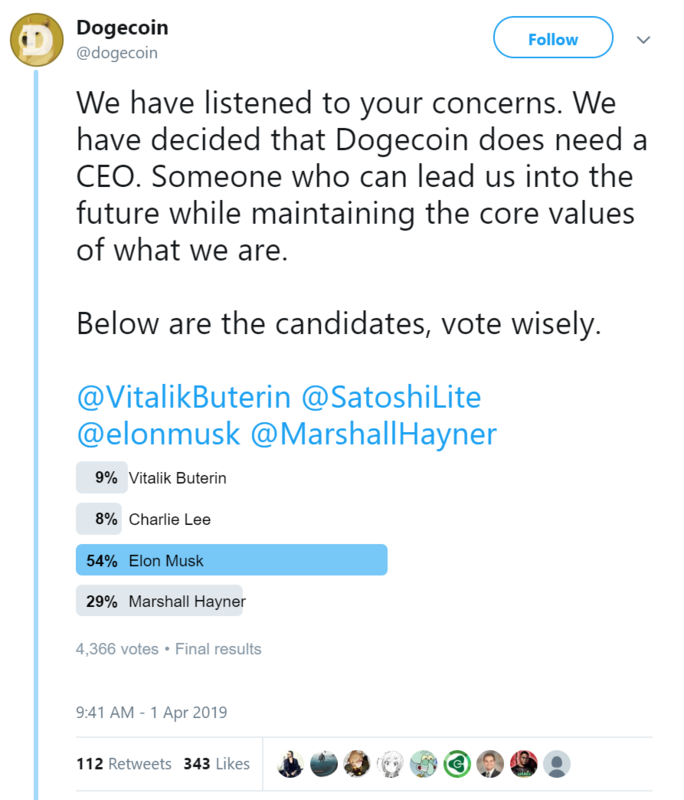 As an April fools joke, Dogecoin had a poll to select a new CEO. Musk took the lead early on and ended up winning the poll. Amongst the other nominees were the founders of Litecoin (Lee), Ethereum (Buterin) and Metalpay (Hayner). A surprising missing candidate is Jack Dorsey, the founder and CEO of Twitter and Square, who has openly endorsed Bitcoin and blockchain on several occasions. Some people find that Dorsey is taking a leading roll in actively promoting blockchain, a roll many hope Musk will fulfill. He briefly changed his Twitter bio to “CEO of Dogecoin” yesterday. But changed it again to “former CEO” later the same day. Which makes Elon Musk the shortest CEO in Dogecoin history. Dogecoin started as a joke, back in 2013. Impressively enough they are still #24 coin in marketcap, with a loyal community of over 100k followers. 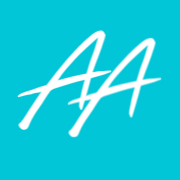 Recently it’s been added as a payment method for Airbnb rentals. It’s not the first project that started as a joke. Twitter also started as an app, that Dorsey and his friends would use for quick communication. Not all businesses start with fundraising and a roadmap. 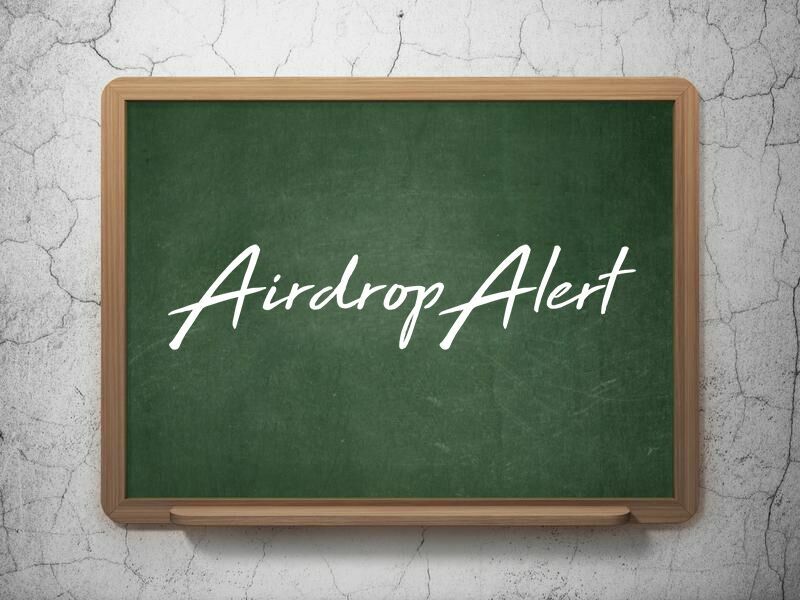 At Airdrop Alert we also didn’t plan to grow this into the business it is today. Coincidentally we discovered airdrops during our travels and it quickly became part of our travel budget. Surprisingly, there was no website to alert people about the token giveaways, so we created one. We had a hunch, that it could grow into something big. However, we never imagined the explosive growth we experienced last year. Take that as a lesson, do something for fun and it might grow into something big. 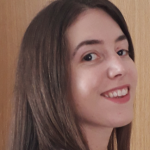 Interested in more updates? Subscribe to our weekly newsletter. N E X T → Is Facebook exploring blockchain? 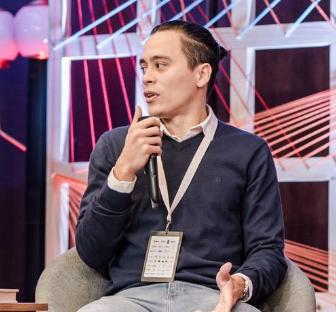 « Airbnb will accept crypto soon, Airdrop coming?